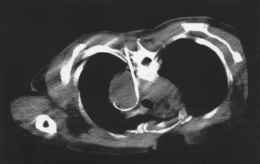 Figure 8 A 77-year-old man with mediastinal mucocele 2 years after an emergency esophagectomy for perforation. (A) Initial CT fluoroscopy performed for placement of a 19-gauge Seldinger needle into the fluid collection. (B) After guidewire placement and tract dilatation, a pigtail catheter is confirmed to be in the collection. pleural drainage procedures but particular care is necessary to avoid laceration of the internal mammary and mediastinal vessels, the heart, and other mediastinal structures. 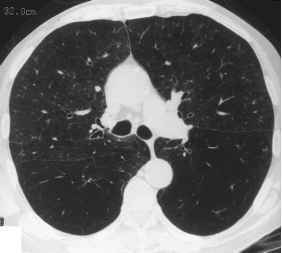 For this reason, CT fluoroscopy offers a substantial advantage over other imaging techniques because it permits real-time observation of the needle path .